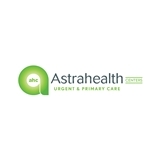 Astrahealth Centers (Bayonne) - Book Appointment Online! Our goal is to provide affordable, convenient and comprehensive care to families in need of expert medical attention. Each Astrahealth Center is staffed by emergency room doctors, internal medicine physicians and/or family medicine doctors at all times. In addition to experienced staff members, Astrahealth Centers are also stocked with the latest medical technology to provide a fast diagnosis and accurate treatment. These include on-site x-rays, ultrasound equipment(coming soon) and laboratory services. One of the best PCPs I have had. She is very thorough and kind. You can tell she genuinely cares about her patients. She listens and is very attentive. I highly recommend Dr. Primiani, she’s very efficient and effective! The entire staff has done an excellent service during my visit. Thank You!